For lawns, flowers, shrubs, vegetables and trees. For lawns, flowers, shrubs, vegetables, and trees. For a quick and long-lasting green. For all soil types. Will not burn. Contains soluble iron. 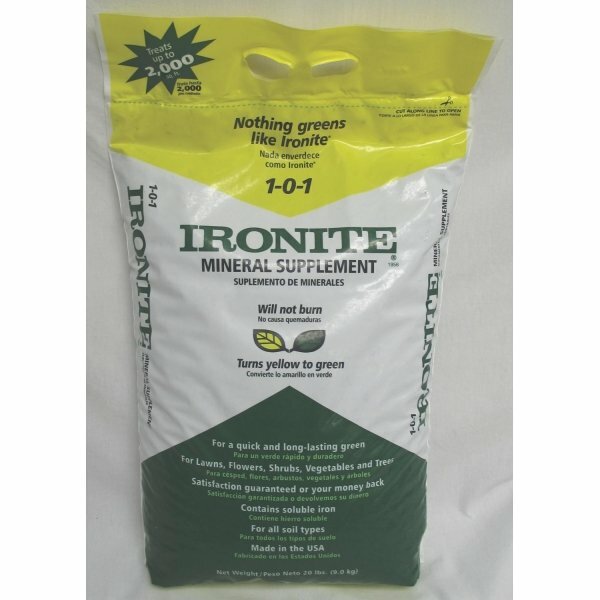 Ironite 1-0-1 Mineral Supplement has different options and/or variations, please choose below. This product cannot ship to DC, KY, PR due to state restrictions. Mineral supplement. For lawns, flowers, shrubs, vegetables and trees. For lawns, flowers, shrubs, vegetables, and trees. For a quick and long-lasting green. For all soil types. Will not burn. 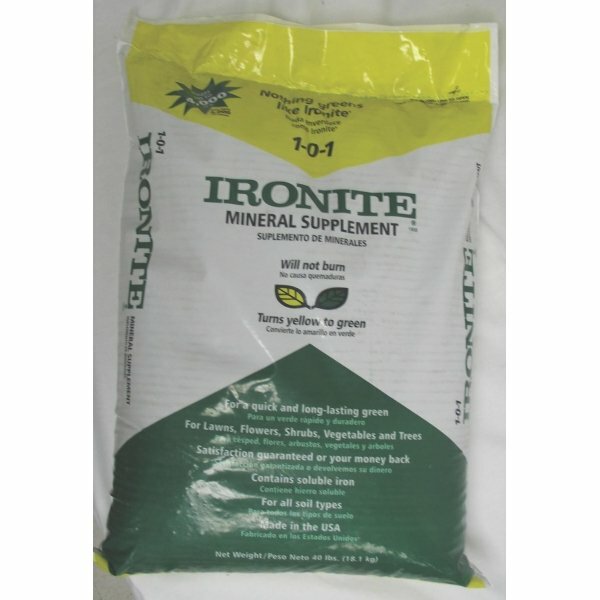 Contains soluble iron.